Ruth Strathmeyer Wimbrow, 92 passed away on Wednesday, March 7, 2018 in Lancaster General Hospital surrounded by her family. She was a resident of Willow Valley since 2000 and a beloved wife, mother, grandmother, great-grandmother and friend. She is survived by her four sons, Henry & Darlene of West Redding, Connecticut, Michael & Denise of Lake Forest, California, Thomas & Treva of Tiki Island, Texas and William & Kathleen of Orwigsburg, Pennsylvania, her seven grandchildren, Melissa, Joseph, Robert, Matthew, Christopher, Laura and Susan, and five great-grandchildren, Cheyenne, Nathan, Sarah, Simon, and Emily. She was preceded in death by her husband Joseph Wimbrow of 58 years in 2006. 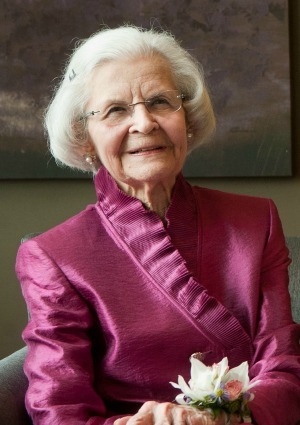 Ruth was born in 1925 in York Pennsylvania, daughter of the late Henry W. and Louise Hespenheide Strathmeyer. She graduated from Ursinus College where she met Joe of Salisbury Maryland; they married in 1947. She was a devoted wife, extremely organized homemaker and mother of four sons. When Joe joined IBM he was transferred 5 times in 10 years and she became an expert at moving the family. After his retirement they moved to Sandwich, Massachusetts on Cape Cod where she continued her participation with the Episcopal Church Altar Guild, becoming Treasurer of the National Altar Guild Association. Ruth enjoyed playing bridge, going to the theater, and the community center with her friends in the Willow Valley community. She was an elegant, compassionate woman devoted to her family, and will be missed by all who knew and loved her. Relatives and friends are respectfully invited to attend services on Monday March 19th, 2018 at Evangelical Lutheran Church of the Ascension, 600 East Penn Grant Road, Willow Street, PA 17584 at 11:00 AM, with the Rev. Steven R. Bowser. Family will receive friends at the church on Monday from 10:00 AM until the time of the service. Entombment will be held in the Shrine of Memories Mausoleum of Conestoga Memorial Park, 95 Second Lock Rd, Lancaster. In lieu of flowers the family requests donations be made in Ruth’s memory to VisionCorps 244 N. Queen Street, Lancaster, PA 17603 or the above church. I was so sorry to hear of your Mothers passing. Ruth an I became very good friends when we both lived in the Gables . Then we both moved to different communities here at Willow Valley. We would get to see each other . but most of the time we spent our tim on the phone. We had so much in commo ,mostly our eyes. I will surely miss her.She was the sweetest .most gracious and will be missed by all who had the the privelage of know- ing her. God Bless to all of the family. My prayers are with you. I am sincerely sorry for your family’s loss of Ruth. May you find comfort in the many precious memories you shared as well as God’s promise to restore our dear loved ones to perfect life on a paradise earth. As you contemplate that promise, draw close to God in prayer and he will provide the needed strength to carry you through the difficult days ahead. All the best wishes for your family at this time, take care of each other.